It’s no secret that Spaniards love to play the lottery. 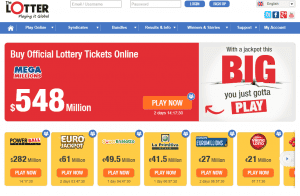 Participation in EuroMillions and EuroJackpot draws has always been huge. More than that, it is said that over 90% of all Spanish adults take part in the Lotería de Navidad raffle draw held annually just before Christmas. But up until now, playing American lotteries, with their huge prize pools, has been impossible for residents of Spain. In this week draws, the Mega Millions jackpot is set at $654 million USD (€565 million) while the other multi-state American lottery, the Powerball, offers a jackpot prize of $345 million USD (€298 million). 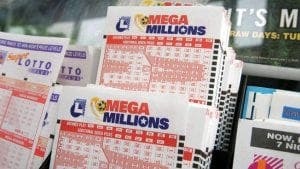 Spaniards, too, can play Mega Millions and take a chance on winning the Powerball without stepping outside their homes. And even more important, playing American lotteries online from Spain is a legal way to win these prizes! So how can Spaniards play the Powerball? The easy solution is using the services of theLotter, the leading online ticket purchasing service. TheLotter uses local agents in the US to buy official lotto tickets on behalf of its customers from around the world. The website charges you a transaction fee and in return you get a scan of any ticket bought before the draw. And no, commissions aren’t taken from winning tickets. If you think that there could never be winners of American lottery prizes from outside the US who purchase their tickets online, we’ve got news for you! Players win millions in American jackpot prizes, online! Panama resident Aura D. had gone out to retirement but needed to continue working in order to support her children. On a whim she purchased tickets to the Florida Lotto at theLotter, and that was a very fortuitous decision. 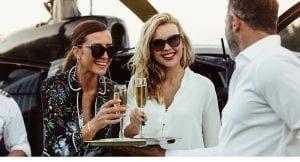 In a July 2017 draw, Aura was the sole winner of a $30 million USD jackpot prize. Even more incredible is the story of Baghdad resident M.M. After playing the lottery online at theLotter for just a few months, he purchased official tickets to the Oregon Megabucks lottery. In an August 2015 draw, M.M. won a $6.4 million jackpot prize. 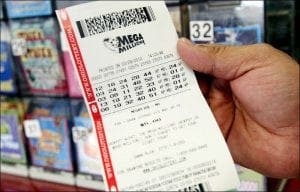 The Iraqi’s lottery story was so unique that it was reported in the New York Times, the Daily Mail, NBC, and in the Associated Press. 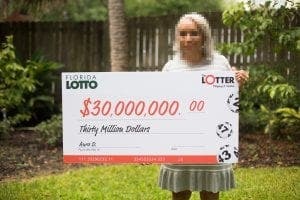 All of them noted that it was perfectly legal for foreigners to win American lottery prizes by purchasing official tickets online at theLotter. Players are impressed by how easy it is to purchase official lottery tickets online and they have come to trust the purchasing services of theLotter. Playing the lottery online at theLotter is safe and secure and over the years, theLotter has paid out over $90 million in prizes to more than 4 million winners from across the globe. Players can purchase tickets to the world’s biggest lotteries as well as Spain’s La Primitiva, BonoLoto, and El Gordo lotteries. Playing Mega Millions and Powerball with their huge guaranteed jackpot prizes is now possible in Spain as well. Online ticket purchasing service theLotter can help make dreams of lottery riches come true. For more information how to play Mega Millions and Powerball online from Spain, please visit theLotter.com.